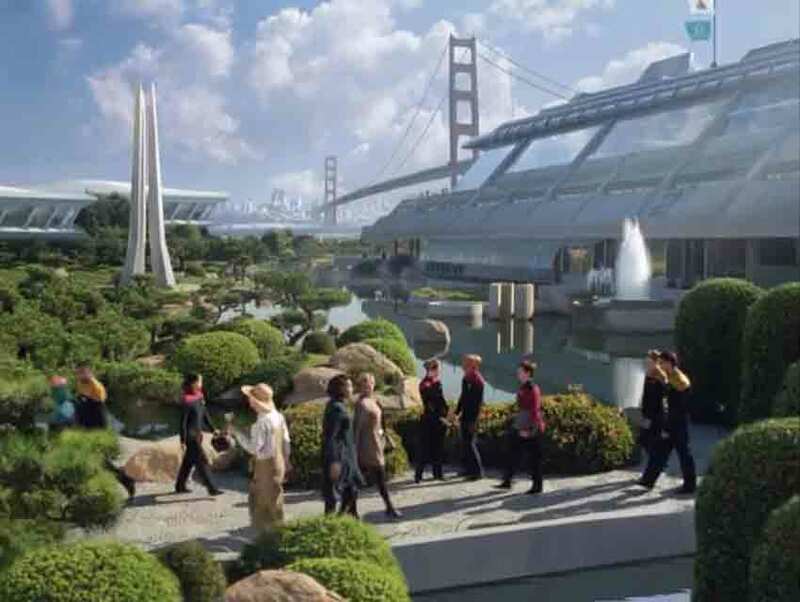 A screen grab from "Star Trek"
As summer comes to a close, I find myself embracing L.A.’s great outdoors at every chance. One of my favorite alfresco spots happens to be a popular filming location, one that should be most recognizable to sci-fi fans. 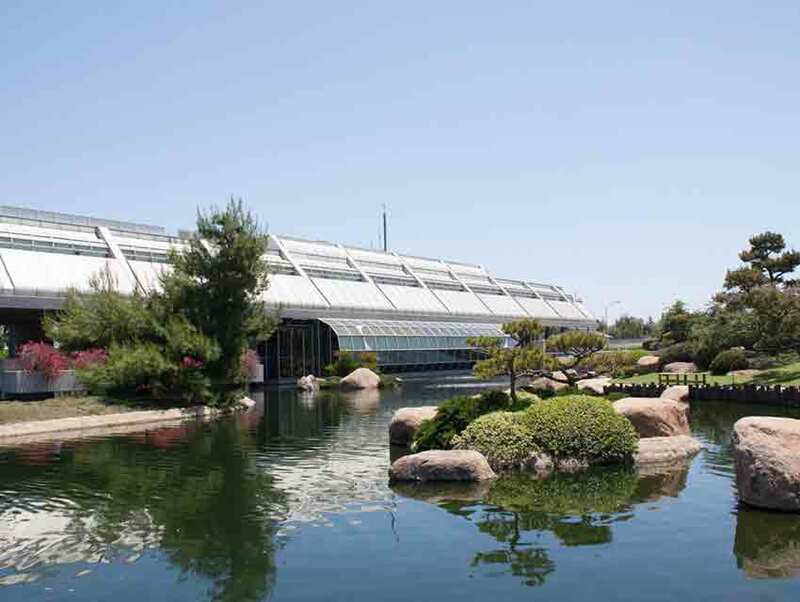 The Japanese Garden SuihoEn at 6100 Woodley Avenue in Van Nuys is easily the city’s most unusual botanical garden. The property is situated on the grounds of the Donald C. Tillman Water Reclamation Plant, which was established in 1985 to purify wastewater for reuse. The sprawling 6.5-acre property has three gardens—a Zen mediation garden, a “wet” garden, and a tea garden complete with an authentic Japanese tea house serving tea and almond cookies. The beautiful site features waterfalls, streams, winding pathways, a floating bridge, lakes, and countless picturesque vistas. The Japanese Garden’s long film and television resume would be the envy of most actors. It has been featured in the movies Rising Sun, Memoirs of a Geisha, Bio-Dome, Dead Heat, and Austin Powers: International Man of Mystery, and in episodes of Charmed, Scarecrow and Mrs. King, Alias, Numb3rs, and Knight Rider. The Japanese Garden is a fabulous place for film buffs and non-buffs alike to enjoy a warm day, especially considering its low $5 admission fee. It’s closed on Fridays and Saturdays, though, so look to the future and plan accordingly.